Para Site presents, Orchestrations – a solo exhibition by Samson Young that looks at the modalities of “orchestra-making” in various communities of Hong Kong. The exhibition consists of a selection of existing works and new commissions. It is the culmination of a year-long musicological research on the history of orchestras by Young in conversation with curator Qinyi Lim of Para Site and musicologist Giorgio Biancorosso. The exhibition draws from Young’s training as a composer, his understanding of the politics behind the Western musical notation system, and his view of orchestras as formed collectives. Through music making, orchestras are invested in both the formal act of performing music and the informal act of creating harmony. 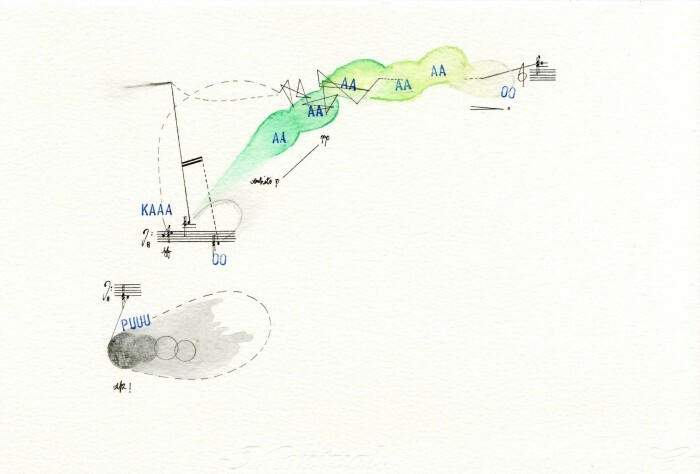 Interested in the slippages that can occur in the use of “orchestra” as a word, Young’s presentation questions the structures that govern the way we experience music and the audiences it constructs. In addition, the accompanying publication elaborates on the possible methodologies that can be used to build these temporary communities. Samson Young studied music, philosophy and gender studies at the University of Sydney and holds a Ph.D. in Music Composition from Princeton. He was the inaugural winner of the BMW-Art Basel Art Journey Award in 2013. Young participated in the Asia Triennial Manchester, the Moscow Biennale of Young Art, and also at group exhibitions at Kunsthalle Winterthur, Switzerland, Today Art Museum, Beijing and Taipei Contemporary Art Museum, Taiwan. Para Site is Hong Kong’s leading contemporary art centre and one of the oldest and most active independent art institutions in Asia. It produces exhibitions, publications and discursive projects aimed at forging a critical understanding of local and international phenomena in art and society. Orchestrations is part of Draft, a yearlong project anchored in nine interdisciplinary collaboratives—Beijing, Cairo, Cape Town, Hamburg, Hong Kong, Mexico City, Mumbai, St. Petersburg and Zurich—which collectively consider how contemporary art can produce, provoke and contribute to critical public debates. Draft is an initiative of Khanabadosh, Mumbai and Institute for Contemporary Art Research (IFCAR), Zurich University of the Arts (ZHdK).